Batta Bing BETA BOOM!! 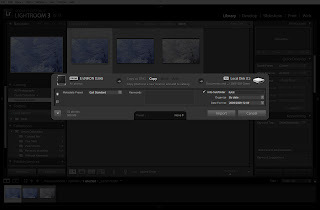 Lightroom Beta 3 !! 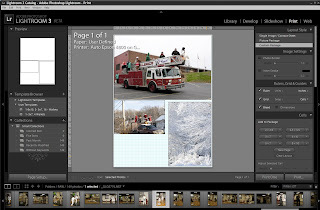 Lightroom 3 Beta with...drum roll please...WATERMARKING ON EXPORT. After finishing up a few cartwheels around the office and rounding up the last few verses of "Alleluia Alleluia" I could hardly wipe the smile from my face. A simple little interface that gives us exactly what we have been dreaming about. You can select standard text or pull in your own logo, scale it up or down, designate location and opacity. This will go on ALL our image export once we are running L3 fully. I am also hearing whispers of networkability (the kind that you don’t need to computer hack to get it to work). That will bring on a few more cartwheels for sure!! 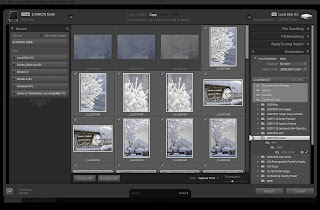 Adobe overhauled the import module. It scared me at first as I could quickly tell that I was not in Kansas anymore. Everything is still there, just arranged differently. There are some advanced capabilities here too. When you click the for previews in the import window, it starts to look more like you are in Lightroom verses in the Import window. 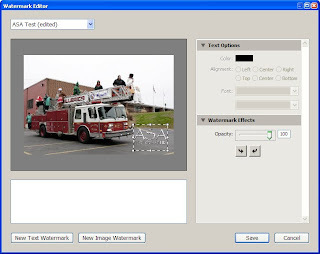 Another sweet feature is the Custom Picture Package in the Print module…. Are you seeing this? It is no mistake. You can drag and drop different pictures from the lower preview bar and then drop them in and resize, overlap, send forward, send back… It is starting to flirt with the makings of a collage builder right inside Lightroom! Can not wait until the full version comes out. Man I am so glad I jumped on the program at Beta 1! It ROCKS.